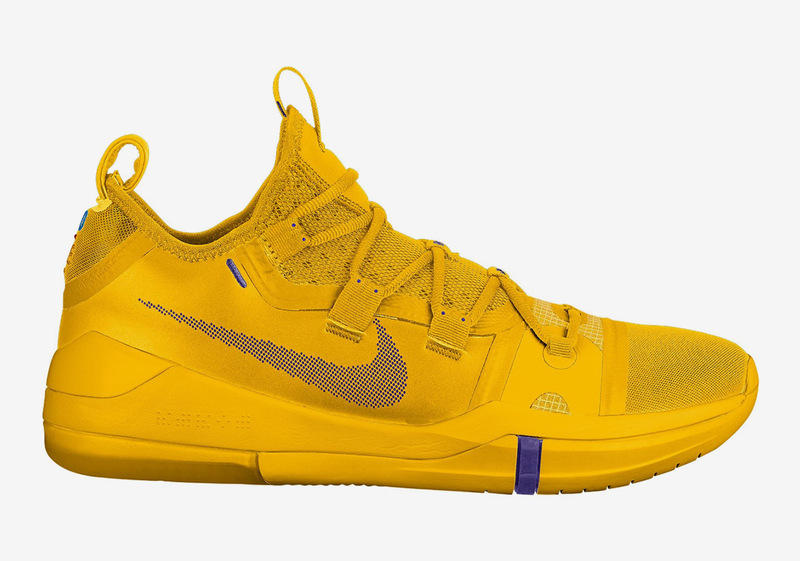 Kobe Bryant’s next Nike Kobe AD shoe continues the measured success the long-time partners have shared since the Black Mamba’s departure from the NBA. Devoid of any technologically advanced tooling the likes of Kobe AD NXT 360, this AD model serves as a more cost-efficient option for hoopers before the start of the upcoming season. With that in mind, the Swoosh has plans to release a cornucopia of team-appropriate colors the like of purple and gold for the lakers, black and silver for the Spurs, and blue and orange for the Oklahoma City Thunder. While these models quite clearly borrow the colors from a number of the Association’s top franchises, there will be options for players not looking to confirm allegiances as well, with a stark white iteration as well as a vibrant neon green. Check out all seven variations that will be hitting Eastbay soon and be sure to tell us which when of them you plan on starting this upcoming basketball season with.